Nothing feels better than relaxing with a cup of coffee and some music at a nearly inaudible volume level..That's what I do every Sunday evening.Clicked this photo of my friend while he was relaxing on the couch and looking outside the window.We shared the same flat in Mumbai during our animation course at ZICA.I miss those days when we friends used to stay together.Back then the only meaning of life was fun.Each one of us is in a separate world now, but thankfully because of Facebook we are still in touch. 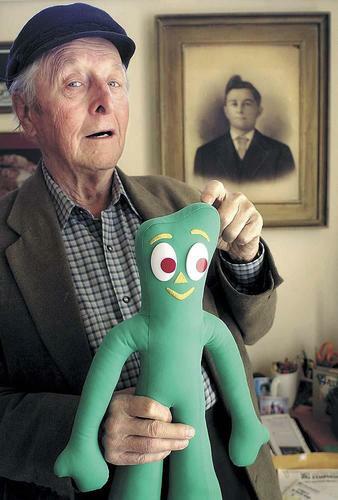 Arthur "Art" Clokey (October 12, 1921 - January 8, 2010) was a pioneer in the popularization of stop motion clay animation.It all began with an experiment in1955 called Gumbasia,influenced by his professor, Slavko Vorkapich, at the University of Southern California.From the Gumbasia project, Art Clokey and his wife Ruth invented Gumby. 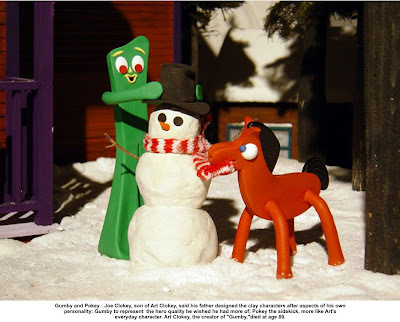 Since then Gumby and his horse Pokey have been a familiar presence on television, appearing in several series beginning with the "Howdy Doody Show" and later "The Adventures of Gumby". The characters enjoyed a renewal of interest in the 1980s when American actor and comedian Eddie Murphy parodied Gumby in a skit on Saturday Night Live. In 1990 "Gumby: The Movie" was released, sparking even more interest.Clokey's second most famous production is the duo of "Davey and Goliath", funded by the Lutheran Church in America.In honor for his contribution to clay animation Google doodle of October 12,2011 was based on his animated clay characters. Born in Detroit, Michigan, on October 12, 1921. His birthname was Arthur C. Farrington. When Clokey was nine years old, his parents divorced and he stayed with his father, Charles Farrington. After his father died in a car accident, he went to live with his mother in California, but his stepfather had no interest in raising another man's son, and so Arthur was sent to an orphanage. When he was 12, he was adopted by Joseph W. Clokey, a classical music composer and organist who taught music at Pomona College in Claremont, California. He schooled Arthur in painting, drawing, and film making while also taking him on journeys to Canada and Mexico. The aesthetic environment later became the home of Clokey's most famous character, Gumby, whose name derives from his childhood experiences during summer visits to his grandfather's farm, when he enjoyed playing with the clay and mud mixture called "gumbo". 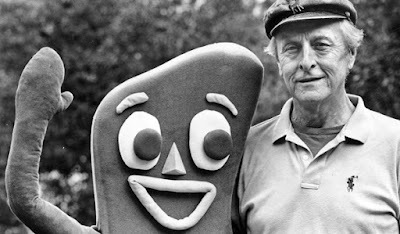 Art Clokey died in his sleep on January 8, 2010, at age 88, at his home in Los Osos, California after suffering from a recurrent bladder infection. Selective color is a post-processing technique where most of a photo is converted to black and white, but some parts are left in color. This is usually achieved by using layers and masks in photo editing software (Photoshop, SilverFast, Adobe Fireworks or The GIMP for example). A common example for selective color correction is portrait, to keep the eyes and sometimes the lips in color, against a black and white photograph. Small regions of color in a monochrome image immediately draws the viewer's eye. This technique is also commonly used for Landscape photography.Colorful leaves or flowers against a b&w scene can breathe life into a photo. Of course the technique can be applied to any genre, but it's commonly used for portraits and landscapes. I hereby Thank my friend my brother Anirban Saha for allowing me to edit and post his original photograph in my blog. 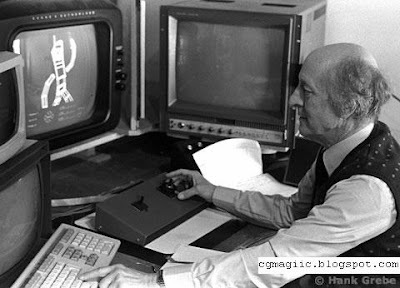 NOTE: You will receive a confirmation email shortly after you subscribe,just click the link in that email to confirm subscription to CG Magic. All art-work posted on this blog is the property of Abhisek Panda unless otherwise noted. 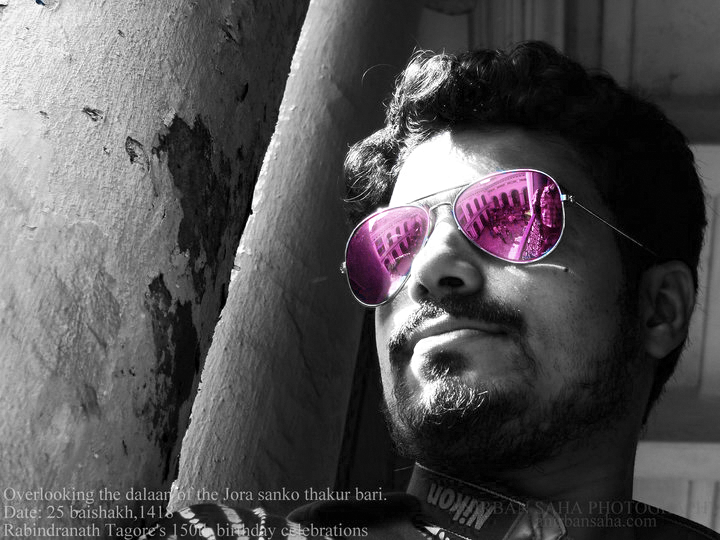 CGmagicDblog by Abhisek Panda is licensed under a Creative Commons Attribution-NonCommercial-NoDerivs 3.0 Unported License.